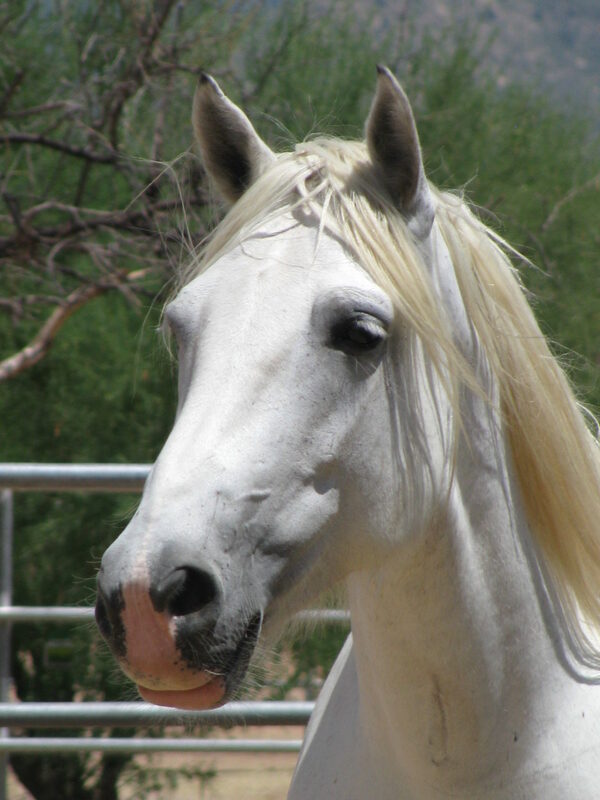 Bracelets for the month of November 2010 will be given to Equine Voices Rescue & Sanctuary, located south of Tucson. In the past three years, Equine Voices has saved 49 PMU mares and foals from a Canadian premarin company that has gone out of business. Due to the economy and the impending cold weather, a rancher cannot afford to keep the remaining 15 horses. If Equine Voices cannot help these 15 horses, the rancher will send them to slaughter and the horses will be consumed as horse meat abroad. Please buy a bracelet, buy 10 bracelets, or donate directly to the charity to save these horses who have already led a miserable existence peeing into a cup in order to make the prescription drug Premarin. Rescued horses are rehabilitated and adopted into loving forever homes. Bracelets cost $20 and are one of a kind made with an assortment of donated beads; coil around the wrist so they are easy to take on and off; one size fits most. Bracelets come with a charm. All the bracelets have been named and list the types of beads used. You can buy bracelets in Tucson at Silver Sea Jewelry & Gifts, 330 N. 4th Avenue, 520-624-9954 or Dirty Dawgs Dog Wash, 2510 N. Campbell Ave., 777-6045 or online (add $3 S&H). Last year the Beading Divas gave Equine Voices $1,460 in bracelet sales during December 2009. Let’s sell more this year! And if you have gently used beads or old beaded jewelry, check out our bead drive contest. Thank you for all the wonderful work you do for charities. Without the care, hard work and dedication the Divas provide, many animals would suffer even more because of the lack of funds for food and medical care. Keep up the great work.